Cecil Duckworth, a self-made millionaire, started his own engineering company, Worcester Heat Systems, in 1962 manufacturing domestic central heating boilers and later introduced the first combi boiler which resulted in the company's rapid expansion to market leader. Going public in 1986, he then sold the company to Bosch in 1996. 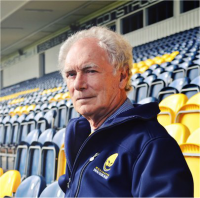 Since retiring he has taken Worcester Rugby Club into the Premiership and written his autobiography, Worcester Warrior.